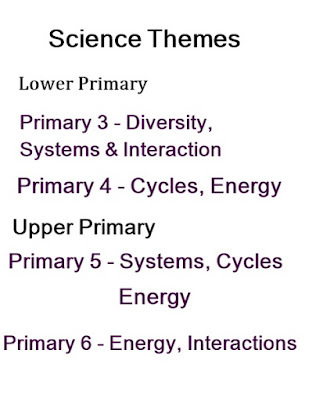 Themes in Science that are taught at the different levels. Science is a subject which is introduced in Primary 3. In the Singapore syllabus it is broken up into the Upper Block( Primary 5 and 6) and the Lower Block ( Primary 3 and 4) Many kids are fascinated and eager to learn about science as it gives them a change to conduct many hands on experiments. The way that Science is taught differs from English and Chinese. There is a lot of focus on facts and being able to describe each item accurately and in detail. Basic facts in Biology, Chemistry and Physics are introduced to the students at this age to ease them into studying these subjects when they enter their secondary school years. 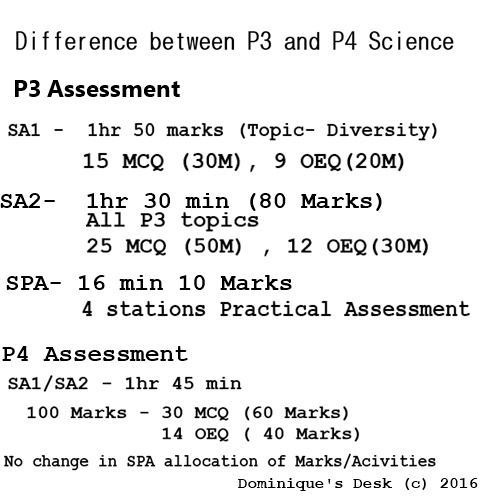 Difference between P3 and P4 Science assessments is that the paper gets significantly longer come SA2 with an additional 10 Multiple Choice Questions and 3 Open Ended Questions. There is also an additional 45 mins allocated for the exam. The number of questions tested is further increased in P4 where the student is given 5 more Multiple Choice Questions and 2 more Open Ended Questions to complete within the extra 15 mins given. As you can see from the chart above the quantity of questions been asked in an assessment increases quite significantly from SA1 to SA2 in Pr 3. The student must be able to time manage efficiently to be able to complete the extra questions given as he progresses from one assessment to another. The mode of assessment doesn’t different much from P4 to P5 and even P6 as each Science assessment is 100 marks. There has been some changes to the Primary School Science syllabus lately and the 2014 P3 cohort will be the first one to sit for their PSLE under the new format. This changes will affect Doggie boy as he is currently in Primary 4. Monkey boy is unaffected as he will be tested based on the old format this year for PSLE. The topics tests remain the same however the expectation of how the questions are to be answered is different. There is a greater emphasis on how a students words his answer to the question given. The focus has shifted to the teaching of more in depth knowledge of each topic that is taught. For example in the topic on Diversity it is now required for the child to understand the essential takeaways besides the key inquiry questions. There is a great variety of living and non-living things around us.  Man can classify living and nonliving things based on their similarities and differences to better understand them. Maintaining the diversity of living things around us ensures their continual survival. What can we find around us? How can we classify the great variety of living and non-living things? Why is it important to maintain diversity? Previously there was only focus on just the key inquiry questions in the old syllabus. Now the kids have to show how much they understand from each topic and apply their knowledge adequately to the questions asked. This can be rather difficult for kids who are poor in the language skill and/or have difficulty expressing themselves using the correct terminology. How to tackle the new format exam then? There isn’t any short cut to this. The student would need regular and constant revision to fully understand what has been taught during the science lessons. He has to engage the following skills while doing taking an assessment. Show his thought process leading to choosing the “right” answer. The current MY Pals science textbooks and workbooks do not give adequate practice nor information regarding the various themes. In fact I find the text book very skimpy and one would have to supplement with other external information to give the student a detailed/complete understanding of the theme taught. The 3 periods dedicated to teaching of Science is also grossly inadequate as sufficient time to carry out all the experiments that they require to do within the syllabus and go through all the factual information associated with it. A lot of reading up and practice is required outside the classroom to ensure that concepts taught register with the child. 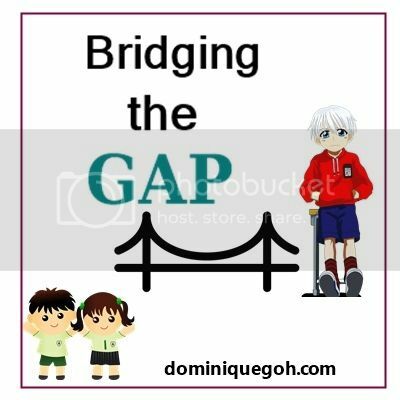 What are you doing currently to bridge the gap in Science with your child? In the next installment in the series I will be reviewing what I had done last year when Doggie boy moved from primary 2 to primary 3.